In 1994, Gloria Ladson-Billings introduced the term “Culturally Relevant Teaching” (CRT) to describe "teaching that integrates a student’s background knowledge and prior home and community experiences into the curriculum and the teaching and learning experiences that take place in the classroom". Essentially, she stated that every student is unique and his/her uniqueness needs to be honoured in the classroom to maximize engagement and in turn learning. In an attempt to ensure CRT, teachers are encouraged to use inquiry-based approaches. Inquiry-based approaches could include project- or problem-based learning (including activities like 20 time and project based learning; more about IBL can be found here). While some teacher may shy away from these practices, there is evidence that suggests that they are beneficial for all learners, not only those who play the game of school well. Moreover, as stated in the Ministry of Education's Capacity Building series, "the core of these strategies.. a) hold[s] high expectations for learning while b) recogniz[e] and honour the strengths that a student’s lived experiences and/or home culture bring to the learning environment of the classroom". So, as practitioners, we need to evaluate what it is that prevents us from implementing these strategies in our classroom. What I see as one of the biggest challenges lies in having teachers "expand upon what is considered as the “curriculum” – recognizing both the informal and the subtle ways in which the curriculum defines what is and what is not valued in our schools and society". These sorts of projects allow students to guide a lot of their learning which can be viewed by stakeholders as risky. However, it is exactly this kind of learning that can empower and ready students for what they will face beyond the walls of our schools. Furthermore, we often align our teaching with what has been "effective" (or perhaps more accurately, modelled) for us as learners, and many teachers succeeded in (or experienced) a sit and get model of education wherein facts were regurgitated and self-directed learning was not modeled. We need to break down this paradigm so all learners can experience success. By allowing students to explore their own passions by probing into deep, multi-layered questions, we "lessen dominant perspectives in our curriculum so that contributions from different backgrounds can be better understood and integrated into learning". Dufour, Eve. "Learning Disabilities and Diversity: A Culturally Responsive Approach."LD@school. LD @ School, 22 May 2015. Web. 29 Jan. 2017. <https://www.ldatschool.ca/educator-supports/culturally-responsive-pedagogy/>. Yesterday I participated in #passthescopeEDU. It was a global event wherein participants from the US, Canada, Argentina, and even Singapore mused on the theme #WhatIf2017. Each participant was given a 15 minute time block wherein they shared their #WhatIf thoughts. 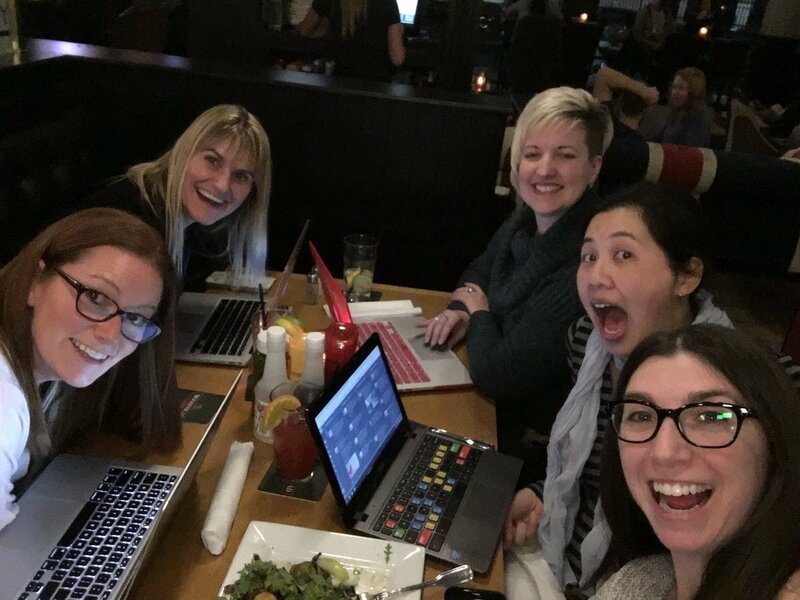 I was with some wonderful educators (Kim Pollishuke, Jocelyn Kervin, and Laura Collins) who joined my 15 minutes and we spoke about eliminating homework, grades, and subjects areas as well as engaging learners earlier in mindsets created in events like EdTech Camps. We are all hesitant at first - wondering what we would say, but when our time came, the discourse came organically. We received hearts from viewers, loving comments, etc. and it allowed us time to reflect and share some of our education passions. Afterward, it is safe to say that we were all happy we took the risk and participated. The exercise got me to thinking about the use of Periscope in the classroom which led to an overall thought about the scope (pardon the pun) and reach social media platforms of this nature (Facebook Live, Google Hangouts, Skype, etc.) can have in education. Furthermore, I was inspired to share my thoughts to a wider audience - practicing what I preach so to speak. We are constantly saying we want to prepare students for the real world...so why aren't we exposing them to this world? Social media platforms allow connections with professionals you would not normally have access to as well as other students with varying experiences, cultural backgrounds, and ideas. There is something to be said for taking the risk and sharing to a broad audience. It can solicit honest, unbias feedback. It allows the students to go beyond knowing what the teacher wants to hear and makes them consider multiple perspectives. It is a great way to include community stakeholders who might not normally get to participate. Sharing a link to the daytime school concert or awards assembly can allow working parents, distant relatives, etc. Participate in the students' daily jexperiences. While there are always concerns about privacy, potential tech issues, and time to co-ordinate this worth of things, I think the benefits are worth it to try to make it work. Note: like any time you are using the internet with students ensure you discuss digital citizenship with your students and have proper permissions from parents/guardians. By the nature of my role (Digital Literacy Resource Teacher) I have no choice but to have a high level of tech integration in my daily practice. I have learned so much in terms of tech. There are many days I cannot wait to get back into the classroom to give everything a try in a more traditional setting. That said, I think I can still have an impact on students, and perhaps even more, with the reach I have on teachers in my district. HyperDoc Lesson Plan. I have had this document for quite some time, but I wanted to add in links and such so people know the rich tech tools that are available to use in the HyperDoc cycle. I did this a couple of days ago and I am really proud of it. 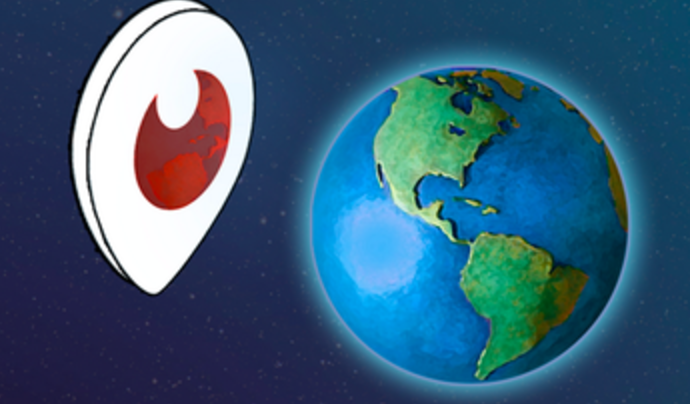 How to do a Mystery Skype/Hangout. I listened to @jmattmiller’s #DitchSummit talks over the last week of school before the winter break. 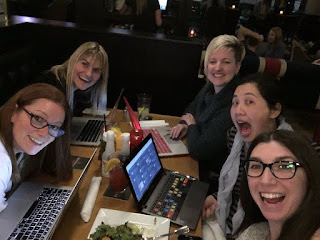 I was fascinated with the ease in which mystery Skype/Hangout connections can be made and I wanted to share this with others in a way that made them see how easy it is. #DYK (Did You Know) Webcasts. I have started to create screencasts/webcasts with easy tech tips and explanations to useful tech tools. I will host these on my YouTube channel. Sharing of Resources. Once I have the resources created I need to share them more widely. There are a few ways I have considered doing this. I have started a Google Classroom for teachers to join. I will post any resource I create in there. I figure many of our teachers are using classroom so it will be a site they visit daily already. I am going to increase the number of webcasts I make and really grow my YouTube channel. I am going to tweet out resources to share with my PLN - be they in my district of not. I am toying with the idea of a podcast...I just need to hone in on a concrete focus. 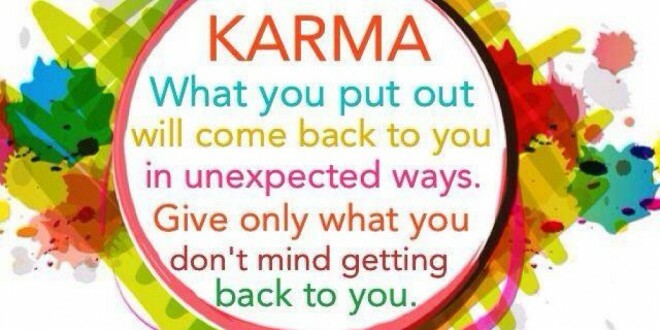 I am a big believer in karma...and this sums up it up nicely. I can’t wait to see what I might get...and if not, at least I have a great documentation of my learning. Did you Know (#DYK) that you can play a game on Chrome when there is no internet connection? A couple of months ago a student showed me this neat little trick. When you get the "There is no Internet Connection" message in Google Chrome, click the dinosaur. Using the space bar and/or arrow keys there is a simple little game wherein the dinosaur hops over obstacles (see Giphy below). Pretty useless, but very fun! Enjoy!